Stand Together for HOPE. Walk Together for CURES. Approximately 3.1 million Americans suffer from Crohn's disease and ulcerative colitis, also known as Inflammatory Bowel Disease (IBD). By joining Take Steps, you will become part of the IBD community, who not only provide support to each other, but who, together, are actively raising money to support the Crohn’s and Colitis Foundation fund research into better treatments and ultimately cures for IBD. 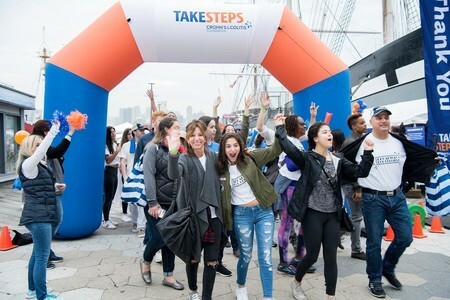 Join the Take Steps movement to raise funds for IBD and we can celebrate together at the New York City Take Steps event. When you fundraise through TAKE STEPS, you directly impact vital treatment, research, and life-giving patient programs.